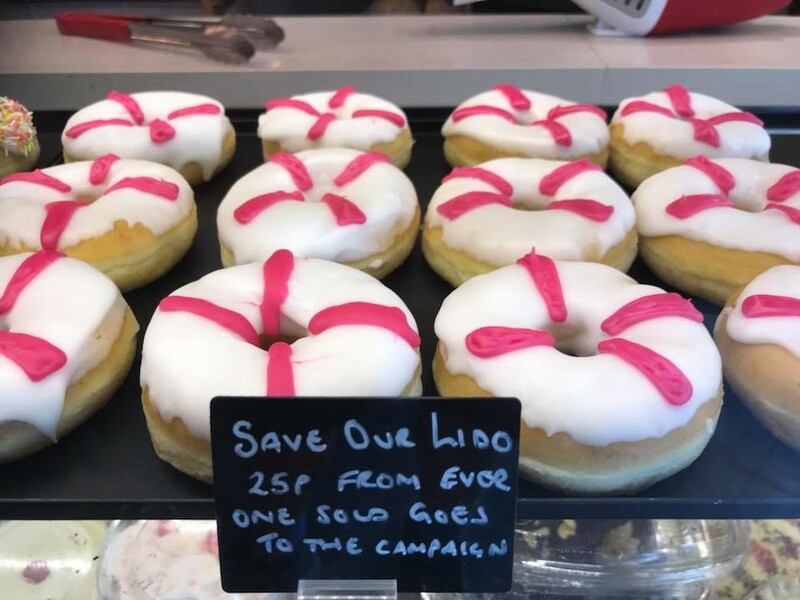 A Grange bakery has sweetened the campaign to save the historic pool on Grange Promenade by producing delicious Li-Do-nuts! The sweet treats have been selling like hot cakes and are a good indication of the support in the town to save the pool from locals and Grange businesses who see the benefits the attraction could bring to the local economy. “As soon as I saw the photo of the donuts on Facebook I popped down to the bakery but they were sold out. They have been sold out at least three times this week”. Recently, Save Grange Lido, a local campaign group, set up a petition, which attracted over 7000 signatures in just 7 days. The group are currently putting the finishing touches to a business plan to present to South Lakeland District Council with the aim of restoring the derelict open-air pool on Grange Promenade. The 1930s art deco gem, the last of its kind in Northern England, closed its doors in 1993 and has been slowly rotting away ever since, despite numerous revival schemes over the years. Owners SLDC are planning on spending nearly 2 million pounds on the grade II listed structure, however their proposals involve repairing the buildings but filling in the pool with concrete. 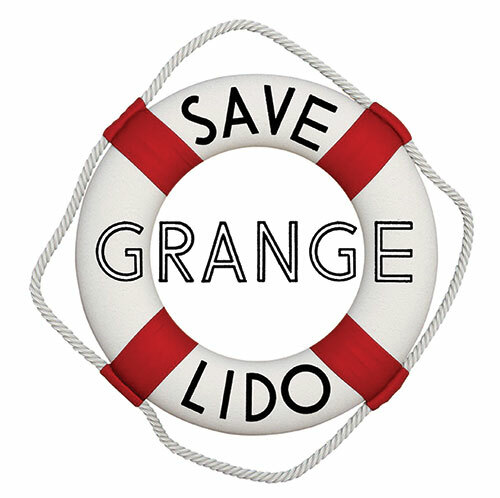 Save Grange Lido, a diverse group of experienced and passionate locals, aim to change SLDC’s thinking by presenting an ambitious but robust business plan to return the site to its former glory. “Lidos are very popular again and are helping bring investment, jobs and business to the towns fortunate enough to have them. “We have researched and visited a large number of other lidos across the country and have seen just how successful Grange Lido could be. “Other lidos show that Grange Lido could obtain the funding necessary to be restored and operate very successfully in the future. “Times have changed a lot since the pool closed in 1993 and lidos are now booming again. “SLDC are fortunate to have such a rare Lido and should look again at fantastic potential to create a unique tourist attraction. Next Next post: Lido Latest September 2018 – A busy month on many fronts for the SGL Team!